The Central North Island DOC Services team is working on an exciting project to bring captive bred whio/blue duck to the Tongariro National Trout Centre near Turangi and to prepare them for life in the wild. 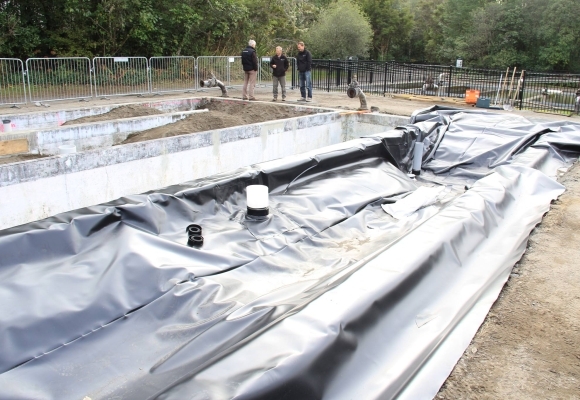 A new whio hardening facility is being opened which will provide a safe environment for young birds from the whio captive breeding programme to develop their white water skills before they are released into the wild. Construction of the hardening facility began in April and will hopefully be completed by the end of September. 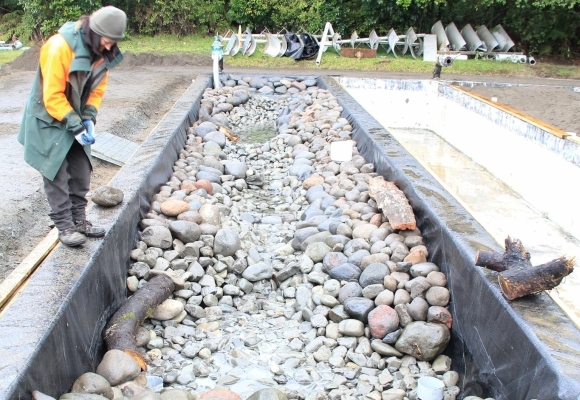 The project involves the conversion of an old water raceway into a stretch of fast flowing river complete with rocks and gravel to mimic a natural stream bed. Young whio need to develop the strength to tackle fast flowing rivers which will be their home in the wild, and this new facility will act as their gymnasium. The facility will also be a retirement home for some of the older birds that have played an important part in DOC’s breeding programme. Whio that are too old to breed or to adjust to life in the wild will have a safe home to live out the rest of their lives. 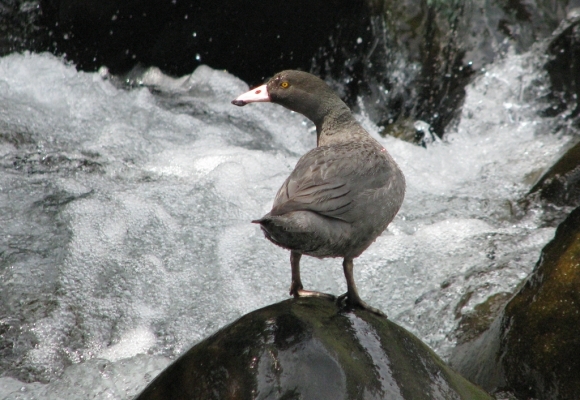 This project is part of the Whio Forever partnership between DOC and Genesis Energy to save New Zealand’s unique whio/blue duck. 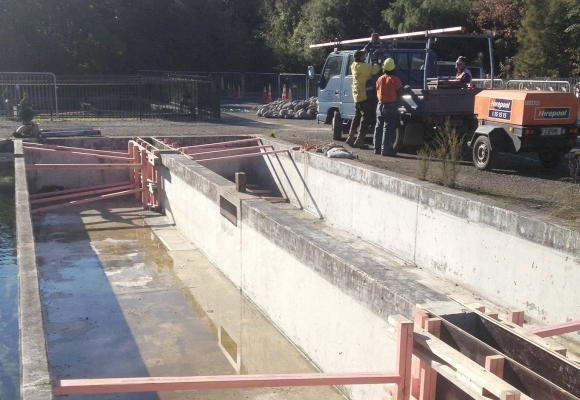 Follow updates about the whio hardening facility on the Taupo Trout Fishery Facebook page.